Some Michigan educators favor free, online test prep courses, while their costly competition is also offering more practice tests. Tutoring can change life’s trajectory. Patricia Terry has seen it first-hand. And it doesn’t always have to cost thousands of dollars. Last year, a senior at Detroit’s Cass Technical High School approached Terry with a big problem. He needed to increase his SAT college entrance exam score by 100 in order to qualify for a four-year scholarship. Terry, a math instructional specialist at Cass, knows 100 points is heavy lift. But the student hit his goal after using Khan Academy, a suite of free, online test preparation tools offered in partnership with the College Board, the national nonprofit that administers the SAT. He earned a 1060 score out of 1600 and won a full-tuition scholarship provided to Detroit residents, Terry said. Cass is a magnet school in Detroit with high achieving students, many of whom could afford to pay for classes for the college exams. But teachers typically steer students toward the fairly new, free Khan Academy, Terry said. About 2 million students nationwide take each of the college entrance exams - the SAT or ACT per year. As they prepare, an increase in new and free preparation tools is renewing discussion about whether you have to pay big to score big on the tests. Flint student Dylan Hernandez gained media attention nationwide recently for persuading a tutoring firm to give 150 of his classmates a 90 percent discount for a $99 online SAT prep class. His story resonates in Michigan, where 46 percent of students are economically disadvantaged and whose families may not be able afford testing coaches or courses that often can cost thousands of dollars. What’s more, studies are mixed on how much pricey prep courses actually improves tests scores. In 2009, for instance, the National Association for College Admissions Counseling found that commercial coaching improves SAT scores only 30 points. Other research suggests that highly motivated students who take the tests multiple times are likely to improve. Those students, perhaps not coincidentally, also are often the ones who invest in SAT tutoring. Parents continue to pay the costs, though, because a few points can make a huge difference, said Steven Snead, supervisor of curriculum and assessment for Oakland Intermediate School District. “Where parents are paying for private tutors, they’re not talking about going from a 15 on the ACT to a 25; they’re trying to get from a 34 to a 35, or a few extra points that will be the difference between University of Michigan and Harvard or a scholarship for a few thousand to a scholarship to pay the the entire undergraduate experience,” Snead said. In that spirit, Bridge is taking a close look at the bevy of low-cost or free prep options available to students. Google “free SAT prep” and more than 5.2 million results appear, from sites such as SATExamPrep.com and the ANA Project to Union Test Prep and PowerScore. For-profit firms also have free options. Magoosh, the firm that Hernandez used, offers free online test taking tips. 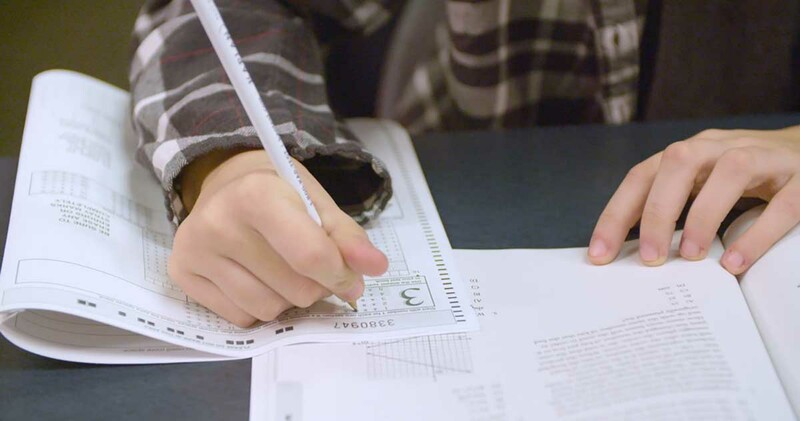 The Princeton Review, one of the best-known test tutoring firms, offers high schools across Michigan free practice SAT and ACT tests with results that identify students’ weaknesses. An offer to purchase tutoring from the firm is often part of the deal. Many tutoring companies offer free practice tests. In speaking to educators throughout Metro Detroit, though, most recommended college entrance exam prep courses that partner with makers of the SAT and ACT. Pros: Personalized and accessible. Online tools mean the student can practice on their own schedule, including watching online classes that allow students to chat with an instructor. Students can snap a photo of a practice test answer sheet, submit it and get a score. And a daily practice test “question” of the day can be sent to students to keep skills sharp. The College Board, the creators of the SAT, partnered with Khan Academy in 2015 to provide free SAT test preparation online. to public high school students as part of the Michigan Merit Exam. Khan Academy, a nonprofit with a mission to help anyone to get a free education, provides everything from educational content for teachers to test prep for the annual engineering college entrance exam in India. The SAT test preparation options include six full-length practice tests for free, online videos, test-taking strategies, tips and lessons. The most effective component is the personalization, Aaron Lemon-Strauss, the College Board’s executive director for SAT Student Success told Bridge. Students create an account with Khan Academy, which creates a personalized lesson plan so each student can practice skills they need to improve based on how the student performed on past tests. The practice tools are directly aligned to the test due to Khan Academy’s partnership with SAT. And the online tools are mobile-friendly. “About 13 percent of low-income families rely on a smartphone as their sole Internet access. If you’re not doing something for the phone you’re leaving kids out, so we knew we had to make it mobile friendly,” Lemon-Strauss said. For decades, Kaplan has provided college entrance exam test preparation that today can cost $799 for 18 hours of online tutoring to $5,699 for 36 hours of in-person tutoring. Last year, the ACT partnered with Kaplan to provide live, interactive, online test preparation. Low-income students who qualify for test fee waivers can take the test prep for free. Last year, about 800,000 students nationwide qualified, said Lee Weiss, Kaplan’s vice president of K-12 and college admissions programs. Generally, instruction is offered live online daily for about 10 hours a week, he said. Kaplan also offers day-long, online “Prep-a-thons” for the ACT and the SAT in which students can watch an instructor review a practice test live online two weeks before the test. Students can ask questions in real-time. Not only can students get the test prep courses for free, but low-income students can send test scores to more colleges free of charge and apply to college for free as well. In Michigan, all high school juniors in public school take the SAT for free as part of the Michigan Merit Exam, or the state’s high school standardized testing program. Low-income students who qualify for free or reduced-price lunch qualify to take the ACT and SAT for free. The tests typically cost $43 to $58.50. All students who take the SAT can send the scores to four colleges for free, but those who qualify for fee waivers can send scores to up to eight colleges without cost, according to the College Board. And if a student receives a fee waiver to take the SAT they immediately get four fee waivers from the College Board to apply to more than 2,000 colleges and universities for free. Otherwise, it costs about $50 to $80 to apply to most colleges. Since 2014, the College Board has processed more than 5.4 million college application waivers. Do you think that SAT scores, perfect GPA, and stellar scrores in AP classes make difference for schools like Harvard or many selective schools while there is an inbuilt quota in their admission process under the cover of diversity and holistic approach which acts against Asian Americans. I can site hundreds of cases where Asian Americans are discriminated and if they know the myth that is holding them back, they are ready to face and conquer. Producing a score on an omnibus standardized test is not an effective pathway to real learning. Khan Academy is an excellent resource that allows the learner to follow their interest and it has done a public service by partnering with the College Board and providing free test prep. Khan apparently recognizes that this is the system being used and children must be given an opportunity to succeed within a binary system that seeks to sort human beings into winners and losers (sound familiar?). Learning for all who seek knowledge (we are curious beings after all) can be improved IF the current system is abandoned and schools become places where competency and mastery, not superfluous metrics, are rewarded as the learner follows their pathway using their own interests, curiosity and intrinsic motivation to become lifelong learners. 1) Grade inflation. Especially at average and subpar high schools. Every student that shows up can easily achieve As and Bs. A massive disservice which breeds an absurd overconfidence in a child's abilities. 2) De facto open-door colleges. Outside of a tiny handful of Michigan colleges and universities, the majority have no admissions standards, admitting everyone with a pulse and access to financial aid. Why care about your ACT/SAT score if you already already know you can get into a dozen party colleges? No surprise the dropout rate in Michigan is 50%. A good student at a high-quality school can self-study to improve their score. But most high schools aren't teaching the grammar, math or other concepts needed to do really well on standardized tests. Prep and private tutoring is all but mandatory if you're in an average school. My husband and I recently attended a seminar. Afterwards, I emailed the instructor and thanked him for donating his time to this endeavor. He sent me a cordial return email, and the first item he mentioned was how enjoyable it was to teach a course in his field to people who wanted to learn. He explained that this is completely unlike his students, who only want to know what will be on the next test. My takeaway from this comment was that today, learning is not the goal, simple rote regurgitation is the goal. I have a permanent issue with nearly everybody who submits education-focused factual articles or opinion pieces to The Bridge Magazine. Every piece in The Bridge keeps up the drumbeat on how to improve the schools, the schools, the schools. How about improving the students--their attitudes, their expectations, their motivation, their commitment? How about improving the parents' commitment to their children's educational development? Those things are never mentioned. I am 63, and took the SAT, ACT, and National Merit tests in 1970 or 1971, I did very well on all of them, and missed being a National Merit finalist by one point. Our daughter is 37, took the ACT and SAT, and did very well on them. I matriculated at the University of Michigan, and she went to the University of Minnesota-Duluth one year, and to the flagship campus of the University of Wisconsin system, the Madison campus, for three years. I have a BS in Natural Resources, major in Forestry, and she has a BS in Economics, with three years of advanced math. I was a working class girl with parents who were proud of their high school diplomas--lots of people from their time did not have the time to finish high school--their paychecks were needed by their Depression era parents. Our daughter had college educated parents, and grew up in economically depressed areas of the UP and northern WI. Granted, we are both intelligent. But we both were also raised to be disciplined, to sit in class and apply ourselves and learn what is imparted by teachers, and to study and learn many things on our own. We both used school libraries to teach ourselves what school did not. I gave myself a pretty good fine arts history education and our daughter's interests were social policy and classic literature--she was reading Camus by age 12. Reading difficult classic works is the best way to learn correct grammar. At age 8, you stumble over difficult syntax and skip lots of things, but the more you read, the easier it gets and your literacy complexity grows. I did no advance planning or studying for placement tests. The tests were true tests of my knowledge and abilities. I think I bought my daughter one of those big study guide books, which she practiced with it a little. My parents read to me from birth, ( as we did our daughter, and as is being done now for our grandson) and taught me self discipline, respect for authority and how to set long range goals. We did the same for our daughter. Additionally, we constantly gave support and advice during her college career, since we knew the system and the ropes. Needless to say, we paid 100% of her college costs--she entered adulthood debt free. Parents need to continually direct their child's development vis a vis their primary and secondary education. Oh, and by the way, learning to set goals and achieve them cannot be left to some volunteer soccer or gymnastics coach. Dropping your child off at school sports events or practices and assuming they are picking up pointers on how to achieve in life, or how to behave ethically, is not parenting your child, it's turning over important aspects of human development to people who have no stake in your child's growth and development. 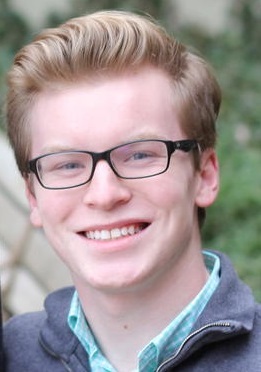 Rather than concerning ourselves on whether some kid gets a 33 or a 35 on their ACT, we should be concerned about the kid who is unlikely to crack an 18 or 20 and how to start this kid off to a productive future. The kid trying to go from a 34 to a 35 isn't who we need to worry about. This isn't Lake Wobegon and no matter how much we kid ourselves not all kids are above average. Wait, a FULL scholarship for a 1060 SAT score??? My 9th grade daughter took the PSAT (equivalent) and got a 1010. This is what we deem as worthy of a full ride scholarship?